Several months ago, I read about the dude that traveled across America via Amtrak for less than $500. A few Japan trips ago, I started becoming more ambitious with my travel goals. Inspired by that guy’s Amtrak adventure, I decided to go on one myself. I’ve never ridden trains in America. Only in Japan. I estimate that I’ve spent over 220+ hours on airplanes this year (thanks to eight trips to Japan and a few other places) so I guess I’m looking for something different. A month ago, I booked an Amtrak ride between Ft. Worth and San Diego (changing trains at Los Angeles). I figured that my holiday break from work and the fact that I’ve got family on the west coast were good enough of reasons to go take a train. This is going to be an interesting experience for sure! It was really easy to board as I only had to show up on the platform and have the conductor scan my e-ticket on my Wallet iOS app. It’s weird because I’m used to go through TSA so it was nice not having to empty out my bags of liquids and laptops for checking. I’m on the last car on this train, and I found an empty seat. I made the unintentional mistake of booking this train ride without thinking about what I’m going to do about Mass this weekend. If I see a Catholic priest on board, we’re so doing liturgy. What sort of people will I meet? I’ve heard that it’s easy to engage in conversations with fellow passengers on trains. This is not a Japanese bullet train. I need to keep reminding myself. It’s going to be a packed train and being a solo traveler, I’ll probably have to sit with multiple other solo travelers. I’m curious what restrooms, the sightseeing deck, and the dining car will be like. Anyway, I’ll probably start occupying my time with reading and staring out the window. 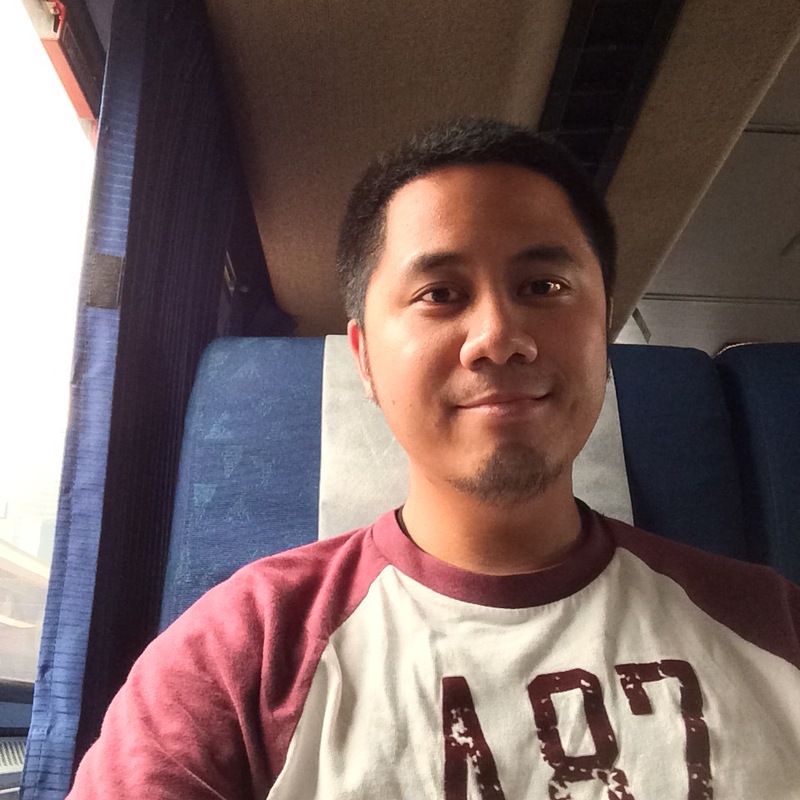 This entry was posted in Travel and tagged Amtrak Adventures 2015 by JR. Bookmark the permalink.